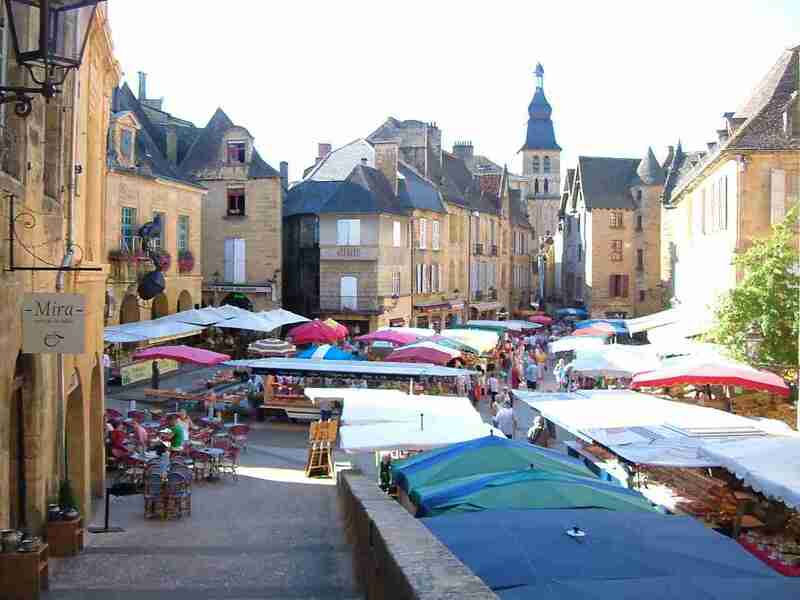 6, 7 or 8 days light walking in Dordogne valley with bags transfer. If you want a restday or staying an extra night in one of the hotels of the trip you can book extra nights in any of the hotels of the package. Short distances: 15, 11, 18, 16, 19, 15 km in the 8 days, 7 nights, 6 days walking trip. Three packages: plus, superior and luxury. For all details click on the links below. In between the Auvergne in the North, the Pyrenees in the South, the Ard?he in the East and the Atlantic Ocean in the West flows the Dordogne. This river has since long attracted tourists from all over the world. In the area of this walk , Lot-Quercy, are to be visited the Gouffre du Padirac, the pilgrimage town of, an Italian Renaissance style village built against the cliff. 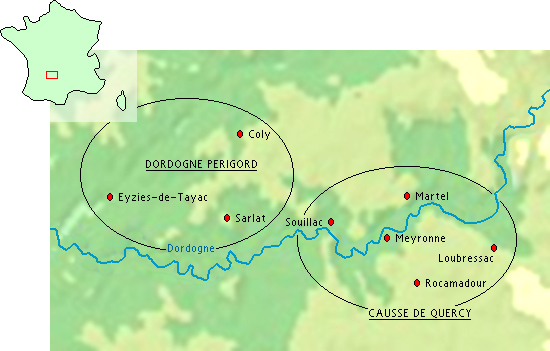 Our walking holidays along the Dordogne River are from Souillac Eastwards to the Causse de Quercy. In the Dordogne P?igord we offer only bike tours. After your stay in Rocamadour, the second tourist attraction of France, you walk down again to the Dordogne valley by the beautiful small canyon of the Gorges de l'Ouysse. Different attractions like the old train at Martel and Souillac it self with its old medieval town. After or before this walking tour you should go and see the Gouffre de Padirac and the Caves of Lascaux nearby. Three options: "Plus", superior and luxury package. The plus tour with (** and ***) hotels with toilet, shower/bath in room. The superior and theluxury tour with all *** stars hotels. Starting day: every day. Day distances: 12-19 km. Walks 90% on paths and unpaved tracks. Daily elevation gains of 80m maximum. The nearest airport from UK to these walking tours is Brive (Ryanair). Toulouse from other countries. Arrival in Souillac after 4h30min. Fare: 2nd class: € 62,- , 1st class € 93.- . SOUILLAC 21h356 bikes allowed You can start your walk in Rocamodour if you want.